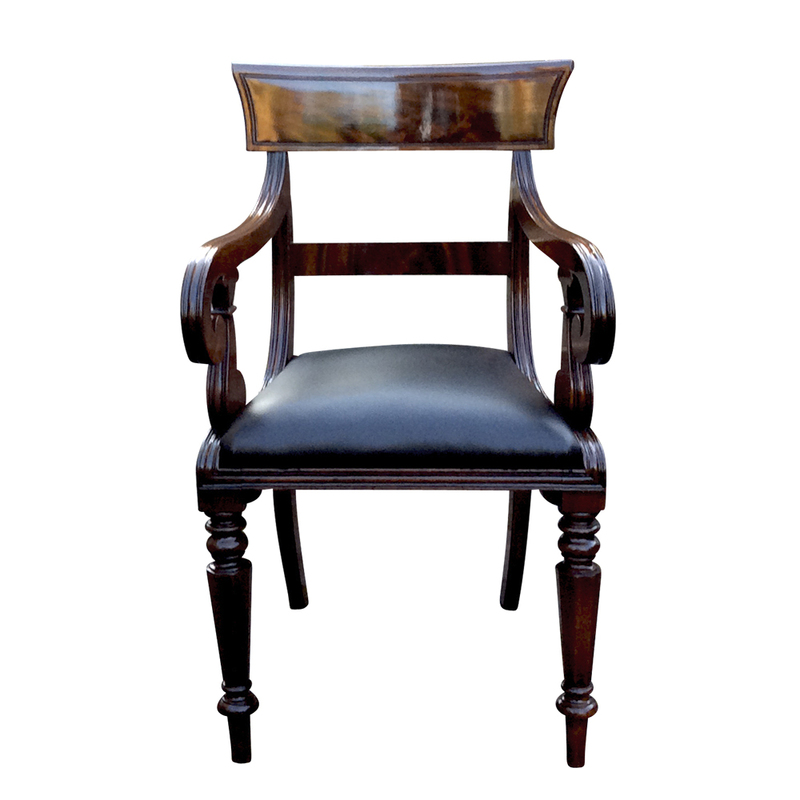 A well proportioned and very good quality antique desk chair made from beautifully figured mahogany timbers. 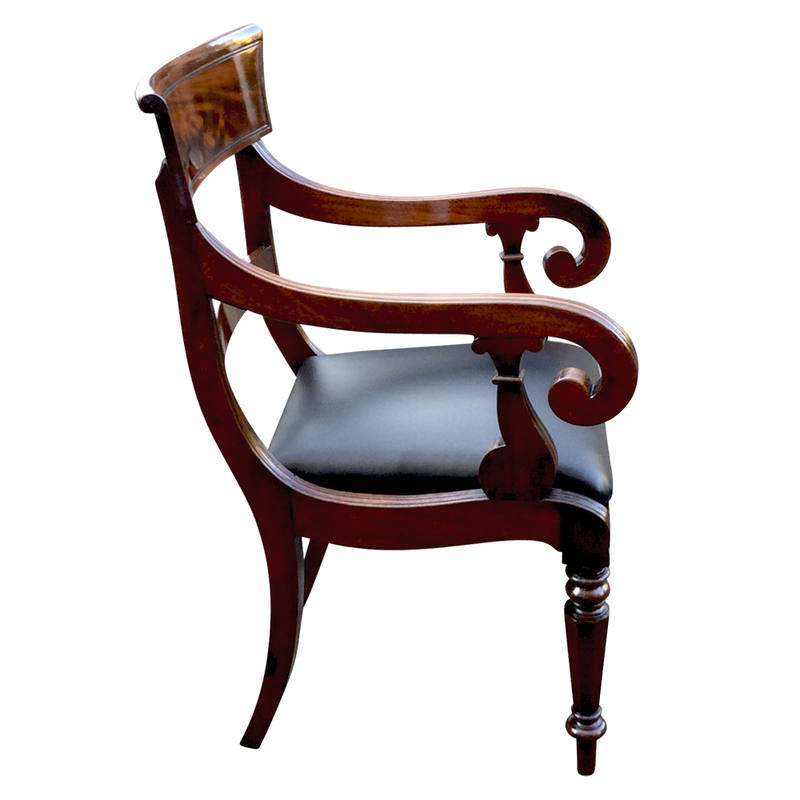 It is has beautiful curved arm rests and curved back support. 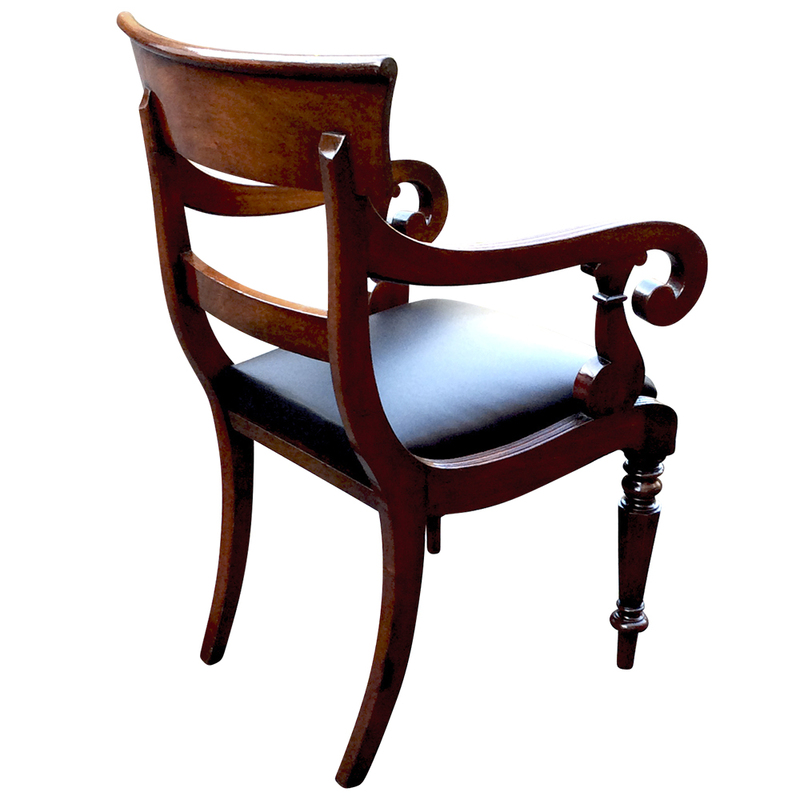 It is in excellent antique condition having recently been professionally cleaned and wax polished. 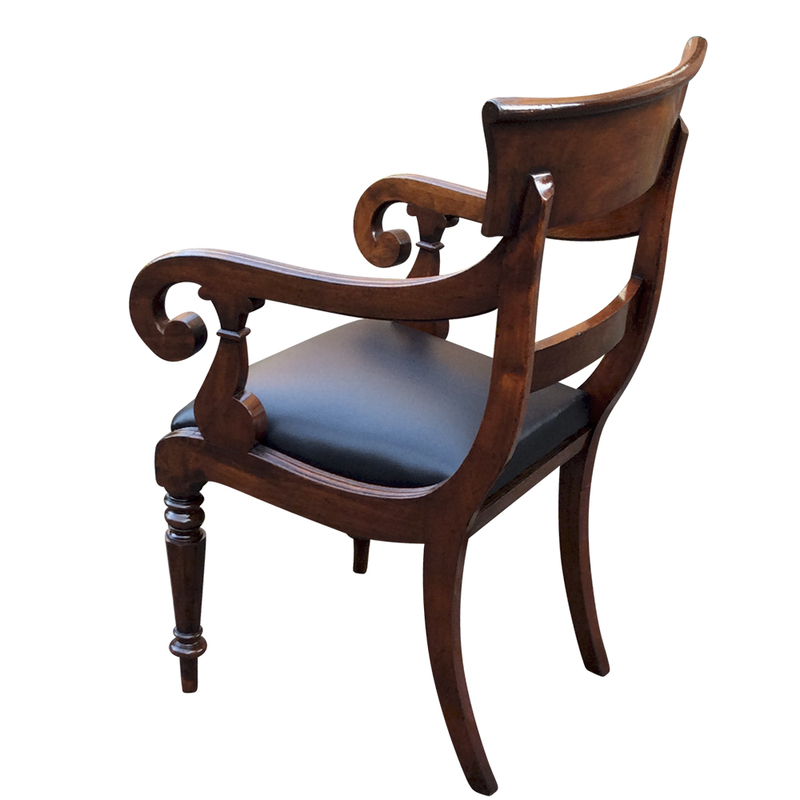 with a newly upholstered hide seat. 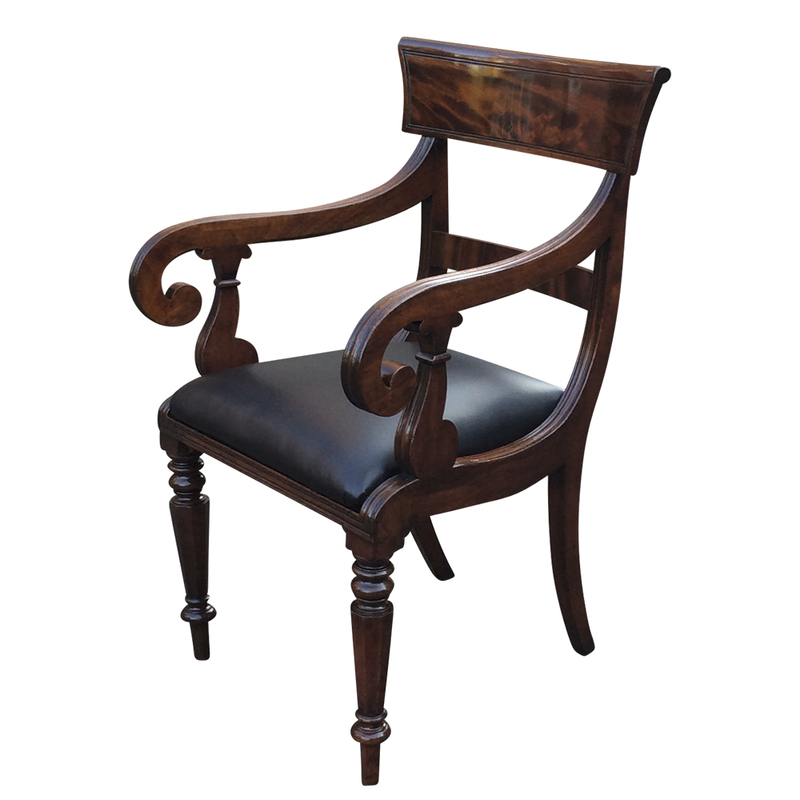 It is a well proportioned chair with a curved back support and deep, scrolling arms. 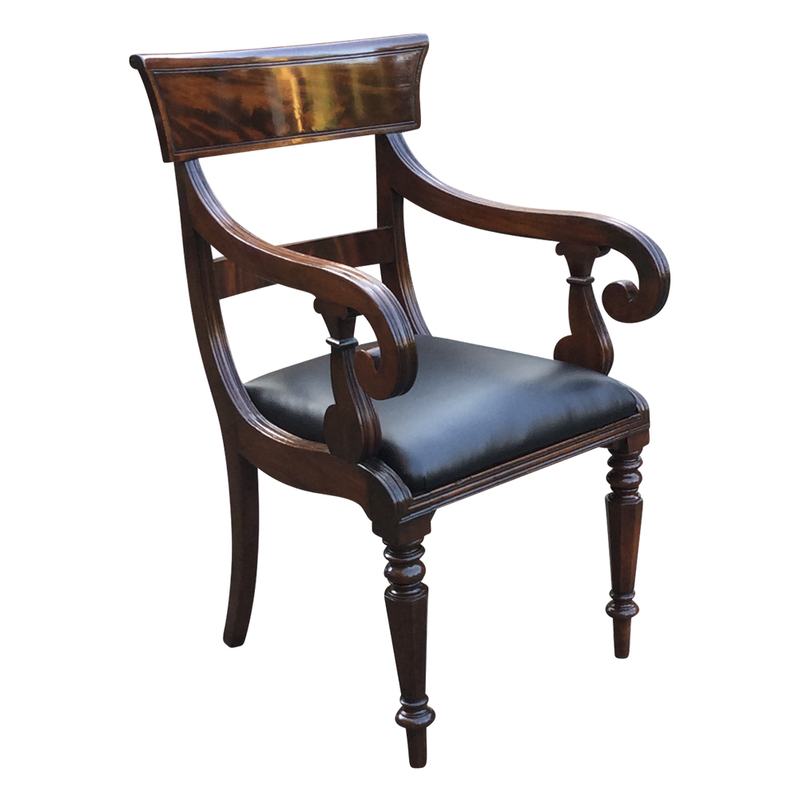 It has a drop-in padded seat which has recently been upholstered in black hide. 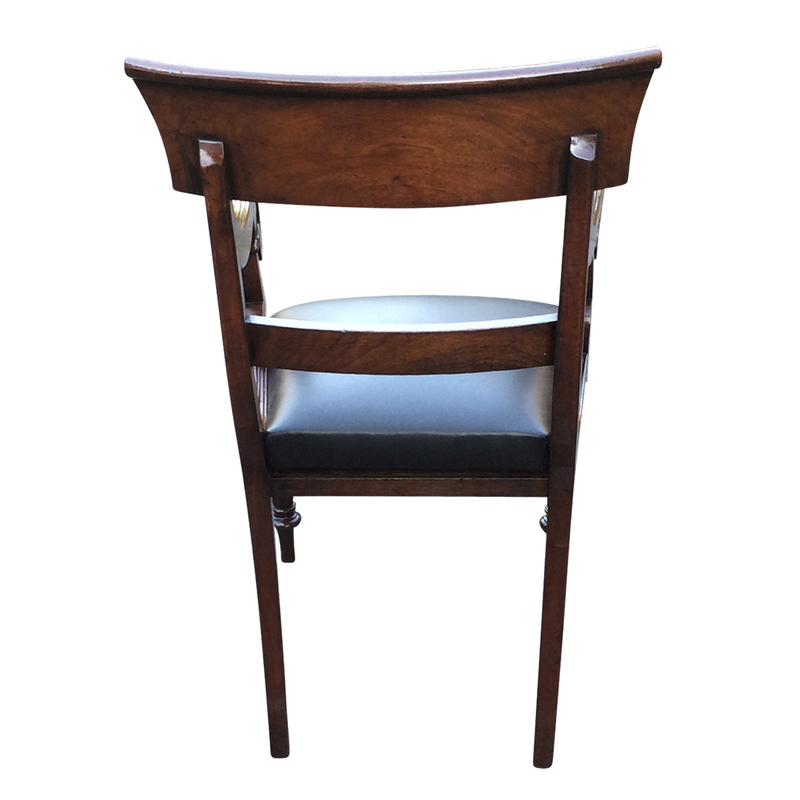 This is a very stylish good quality antique desk chair that would be a good match for an antique mahogany desk or as an occasional chair.